Energy Suspension 9-5166 - Energy Suspension Greaseable Sway Bar Bushings 32mm Camaro V8; 1982-2002. 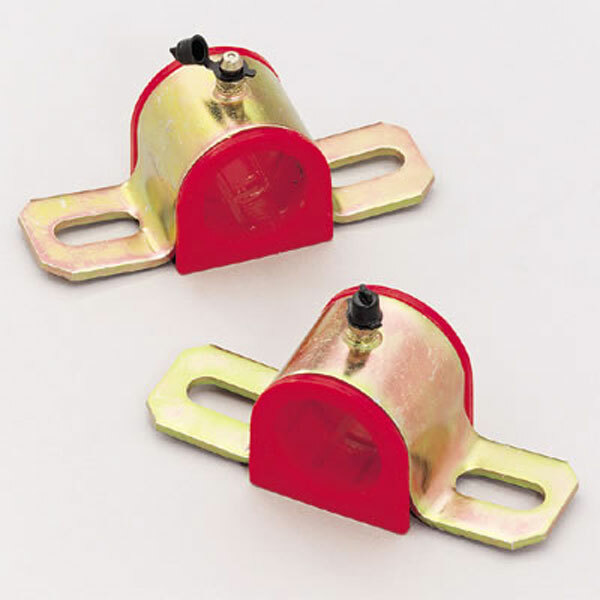 This pair of hyper-flex polyurethane sway bar bushings offers the greatest improvement to your steering performance. They make your vehicle&apos;s sway bar system much more effective, just like adding a larger, higher performance sway bar! Economy, increased efficiency, and an easy installation are just some of the reasons they are so popular. The bushings have zerk fittings that utilize a unique channel design allowing grease to flow to all inner bushing surfaces. 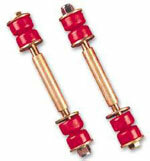 They also come with heavy duty brackets that feature a gold cadmium finish for long lasting good looks and strength.